There’s something mysterious about Bryce Canyon that makes it such an awesome place to visit. The mystery of how was this place formed? How long did it take until it looked like this? And many other questions come to the surface when you visit here. If you get the chance to see Antelope Canyon near Bryce (just a few hours away) then you’ll experience very similar questions of the mysteries of this exquisite place. You’ll get the impression that someone had to have designed and painted this canyon, because there doesn’t seem to be any way for nature to just by itself create such a masterpiece. 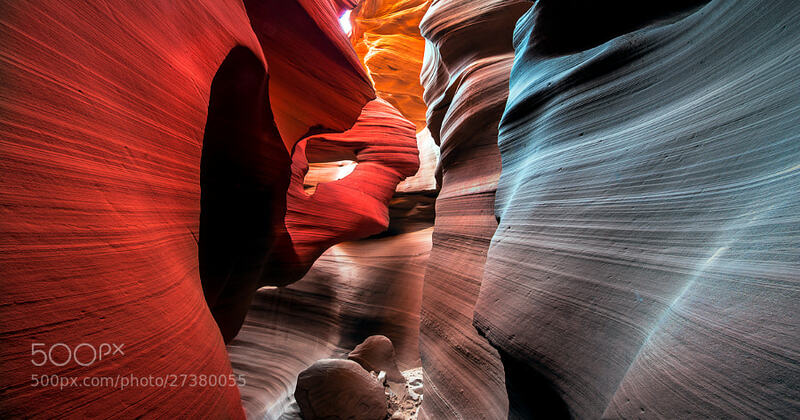 In fact that was one of the takeaways I had when leaving Antelope Canyon, how foolish we are to think we are the premier artists and sculptors of this earth? When in fact we don’t even come close to what nature does seemingly without trying. If you’re looking to go to Antelope Canyon from Bryce, here’s a map with directions. Should just take you a little over 2 hours to get there from Bryce. Now you have to get guided into the canyon so make certain you have reservations beforehand to see this place, as sometimes it can be booked up for the busy season. And if you head that way make certain you see and visit Horseshoe Bend and The Wave (the Wave is very hard to get into, in fact one of the hardest places I’ve ever known to get into, so make certain you have back up plans if you don’t get a permit to see it). All in all Bryce Canyon is a masterpiece, but if you have time to combine Bryce with some of the places and parks near her, then you will have a vacation you won’t soon forget. Antelope Canyon is one of those places, and is certainly within driving distance to Bryce. So, add it to the list!